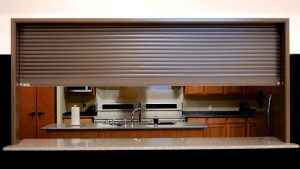 CITY-70 Coiling Doors are custom designed to accommodate any opening size. 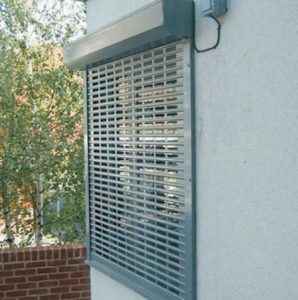 These doors are available in galvanized steel, extruded aluminum, stainless steel or can be powder coat finished to any color requirement. 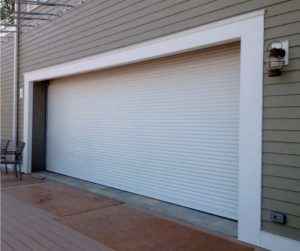 CITY-70 Coiling Doors utilize less headroom and side room than other product alternatives such as swinging or sliding type doors. They also offer more security than alternate products and are highly durable and easy to repair and maintain. CITY-70 Coiling Doors are ideal for exterior and interior applications. 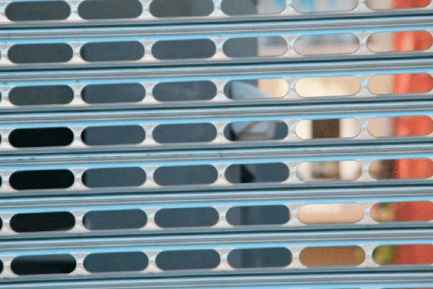 The CITY-70 door has been designed for retail storefront gates which are required by law in the City of New York to allow 70% visibility. 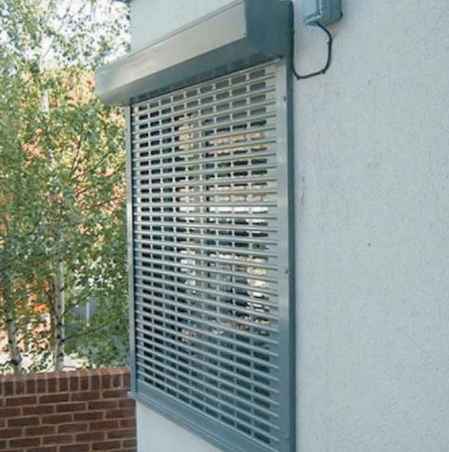 These ventilated doors are also ideal in applications where durability, frequent cycling or severe exposure is an issue. Our Service Doors are usually used in parking facilities, Port Authorities (piers or airports), Transit Authorities, Sanitation Departments, Environmental Control Facilities and other heavy industrial applications. 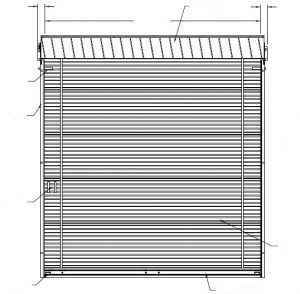 Curtain solid 16, 18, 20 or 22 gauge galvanized or stainless steel slats 3″ curved or flat profile with 1″x6″ punched sections to allow light and air to pass. Brackets shall be constructed from 3/16 steel bolted to the wall angle. Counter balanced spring system designed for a life of 50,000 cycles. Hood shall be fabricated from 24 gauge galvanized steel and shall be formed to fit the bracket. Finish shop coat gray, black or brown on guides, brackets and hood. Manual with lift handle, chain hoist with lock box, removable hand crank or motorized.